So, you have the list of words, that you want to repeat with the flashcards. The list of words is in the text file Words.txt, in the same folder as the MP3s, that you've listened. If all these words have translation written on the same line, then you can directly import this file. If for some words translation spans multiple lines, you should first click "Export". 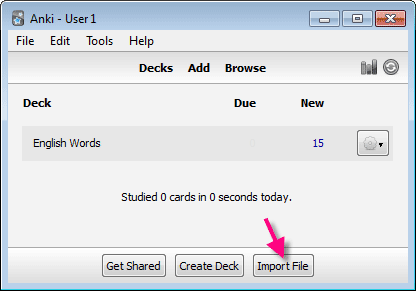 In this case, the Words-Anki.txt text file will be created. Then, start Anki. Click "Import" in the main window. Choose file. Then Import window appears. 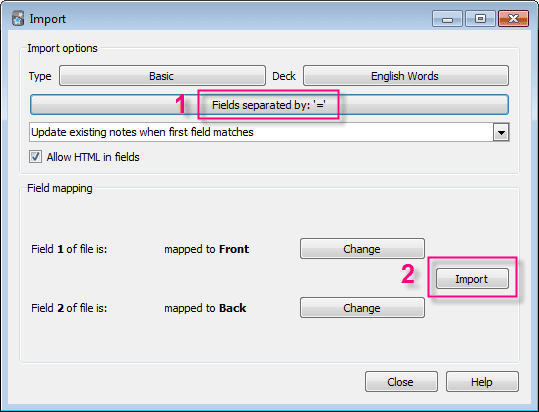 Change "fields separator" to "=", then click "Import". That is all and you can study your words in Anki. Documentation for Anki is here.